Now up to 172 riders can be carried across Puget Sound by the Water Taxi meaning fewer people will be left at the dock on either side. The West Seattle Water Taxi (and the Vashon Island route too) will be a bit more crowded but that's a good thing. The U.S. Coast Guard (USCG) granted approval this week for the vessels Rachel Marie and Melissa Ann to each carry a total of 172 passengers, an increase of 22. “More people can take the water taxi, and fewer cars will clog roads – everyone wins,” said King County Executive Dow Constantine. People have had to wait at the dock in the past and for now, with no place to wait at Seacrest Park (Marination is on schedule but not likely to open until September at the earliest), this is welcome news. The West Seattle Herald reported last week that the current vessels, which have had a checkered history of repair issues and accidents will be replaced in 2014. "The increased capacity on the water taxis is exciting news," said Larry Gossett, Vice Chair of the King County Ferry District. "Today's announcement marks the culmination of almost a year's worth of work by both the Ferry District and the Marine Division to accommodate the growing number of passengers using the water taxi as part of their daily commute." At the direction of the Ferry District, the Marine Division has taken several steps in recent weeks to meet the added regulatory requirements necessary for serving an expanded number of water taxi passengers. Each vessel has been equipped with additional life rafts. More crew training has been performed and new security measures, along with additional signage, have been put in place. These improvements resulted in the successful completion of thorough USCG inspections of the vessels and terminal facilities. Both the Rachel Marie and Melissa Ann are leased 77-foot-long catamarans that operate passenger-only service out of Pier 50 on the downtown Seattle waterfront. 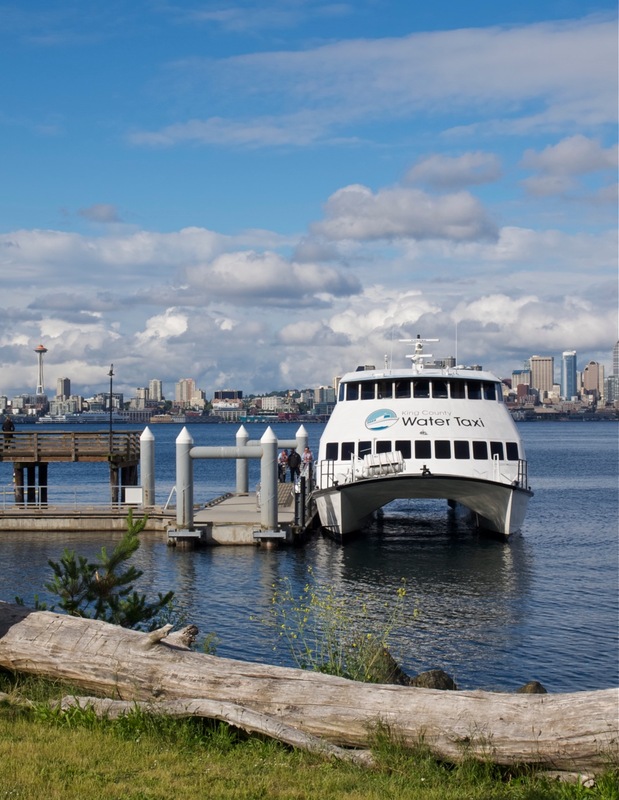 The Melissa Ann provides weekday commuter service between Vashon Island and downtown while the Rachel Marie operates seven days a week between West Seattle and Pier 50 during the summer months, with extended departure times on selected game nights.